Militants in the self-proclaimed Donetsk People’s Republic say they plan to start using the Russian ruble along with Ukraine’s currency, the hryvnia, according to Russian news agency RIA Novosti. The self-styled leader of the republic, Denis Pushilin, said the move was in response to a decree of Ukrainian President Petro Poroshenko cutting off bank services and government funding to the areas of Ukraine under the control of Russian-backed militants. "We’ve long said we have to introduce a two-currency system. Unfortunately, we still depend on the hryvnia. 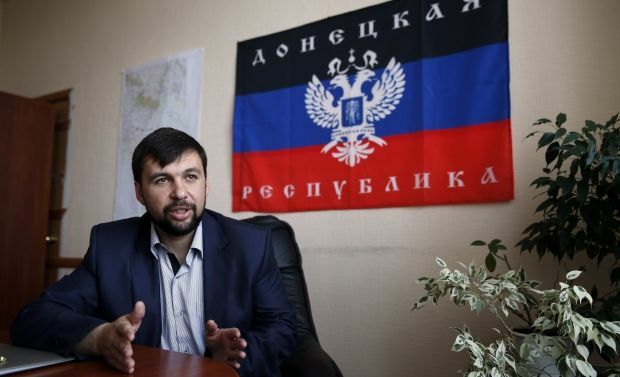 Now the flow of hryvnias could be shut off, and we will simply not have enough cash," Pushilin said. "We’re now considering several options. One of them, the most likely, is that we’ll have the hryvnia and the ruble," said another of the leaders of the unrecognized republic. According to Pushilin, this process of changing to the new system “will not be painless." "In Ukraine, the dependence of the regions from each other was quite high. And now no region can safely be independent of the others," he said. The Donetsk People’s Republic is an area of Ukraine’s Donetsk region in which armed gangs have seized control from the government.